← Write on- It’s a shade of grey. What struck me about these two doors is how identical the two properties were and the strong desire for individuality. In this case personal taste was expressed by the colour choice of the doors, and the state and type of fence–one iron fence in good repair, and one wood fence that had seen better days. The black door reminded me of elegance past and the yellow door of future promise. Two identical doors and two different outlooks on the world. 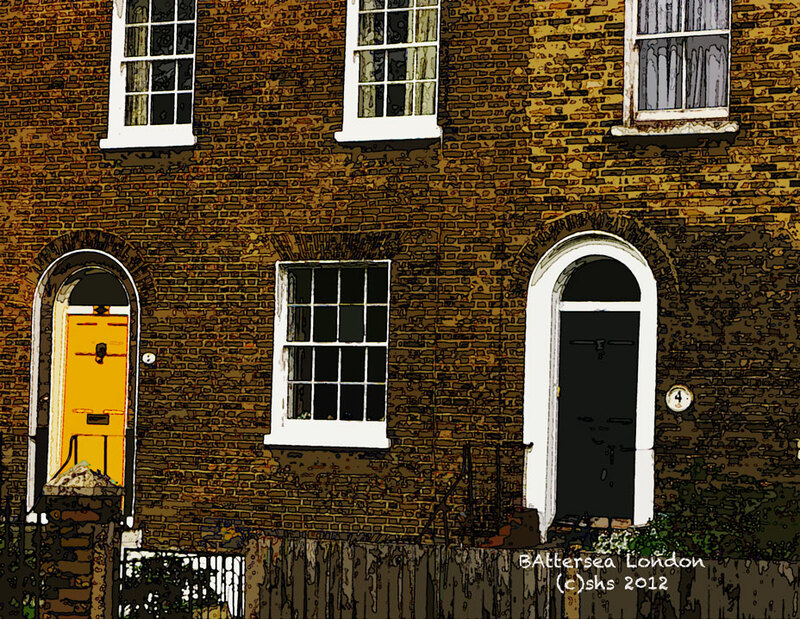 Gallery | This entry was posted in England and tagged archtecture, Battersea, Battersea Power Station, Door, Doors, England, Tales From The City. Bookmark the permalink. Lovely observation Susan. Love the yellow! Thanks Daniella, wasn’t that colour stunning. My own front door was painted that shade once. Now it’s black again. Think I might redo it! Reblogged this on The Legion of Door Whores. Andra, I am seriously thinking of repainting my door yellow!